This is the Byun family. Byun Han Soo (Kim Young Chul) and Na Young Sil (Kim Hae Sook) are the parents of this household. 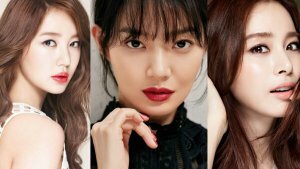 While Byun Joon Young (Min Jin Woong) is the eldest brother, Byun Hye Young (Lee Yoo Ri) is the eldest sister, Mi Young (Jung So Min) is the second among the sisters, and last but definitely not the least, Ra Young (Ryu Hwa Young) is their adorable maknae (the youngest sibling). Each of them has their own story to tell and wait til it gets crazy as the story progresses. 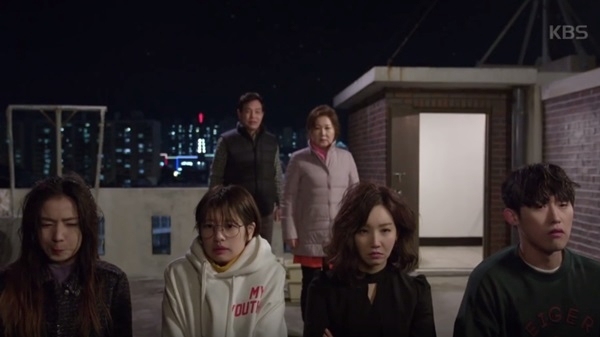 Right now, we're at the point where Joon Young and his wife, Kim Yoo Joo (Lee Mi Do) move into the house and it becomes WAY TOO CRAZY every morning as they prepare for their work. 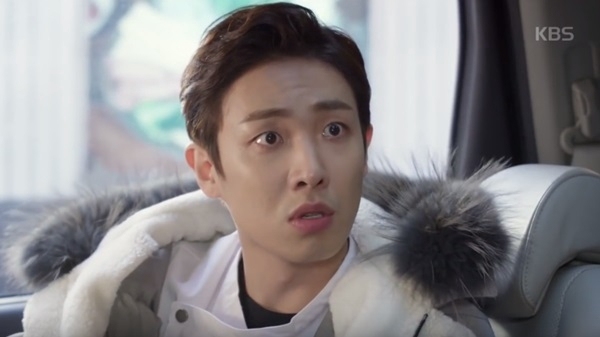 Lee Joon stars as the actor in this drama and, believe me, he is crazy as hell in here (and very spoiled). But later on, he becomes softer as he meets his family. Wonder why I italicized the word family? Well, you better watch to know why! At first, you'll hate him for being self-centered and annoying, but as the story progresses, you'll want to hug him and thank him for doing that and all. He's really sweet and caring on the inside but intimidating on the outside. 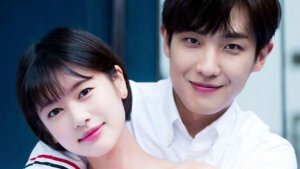 This is Park Cheol Soo (Ahn Hyo Seop) and Ra Young, the maknae in the family. In this episode, they're not a real couple yet but soon, they will. And I'm praying for it because they only get a small amount of screentime in each episode. Hopefully, in the next episodes, they'll finally confess their feelings and be together. I swear you can't get enough with Ahn Hyo Seop! He's so freaking handsome, I die. I swear, they are the cutest! Their ill-fated relationship because of their mothers makes me sad. But that's nothing because they really love each other. I don't know why but I simply cannot help but fall in love with their pairing. Their relationship in here is so cute and and totally relationship goals! You'll only want to cheer for them, and hope that their relationship doesn't end like Romeo and Juliet. Yep, this is Mi Young and Jong Hee. In the previous episode, they finally gave us some clues that they might have a romantic relationship together, instead of just a manager-actor relationship. The story of these two is also adorable but funny at the same time. Their tandem is seriously the best! Warning: You may be a little annoyed a these two in the first few episodes. It's not important though as you'll learn to love them in no time. They're actually my least favourite couple here, mainly because I really dislike the brother's attitude and sometimes his wife's too because... you have to watch it to understand! It's related to Joon Young's sister Mi Young. I swear, their fate is so complicated. I don't know how they all ended up under one family/roof. 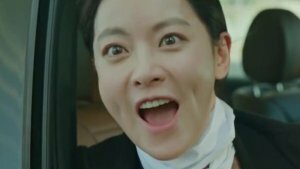 But since everyone in the family got their pairs, of course, their older brother should have one too and that's Kim Yoo Joo. I'm glad that Yoo Joo still loves him even though he still hasn't passed his civil exam for 5 years. Let's see if he passes this time! That's all I have to share for now. 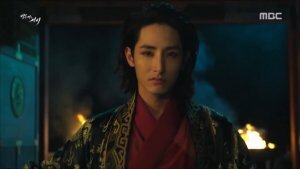 But before I end this article, let me share you my favourite character in this drama and why. That character is Byun Hye Young played by Lee Yu Ri. Why do I love her? Well because her character is so amazing. It's hard to explain it with words but if you watch it, you'll understand me and probably know why. She plays a famous lawyer in here. She's very smart and caring to her parents, and hast her siblings' backs whenever they need help. Her only weakness is Jeong Hwan, the love of her life. She becomes miserable if he's not around. If I were to describe her in one word, it would be Crazy. But in a good way. Hope you guys will add this to your watching list! It's worth watching every weekend. 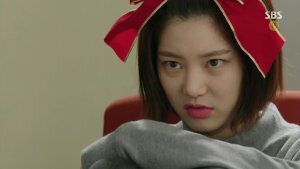 Thoughts on "Because This Is My First Life"
Why Do You Love Her ?? ?